This is the game I've been wanting ever since 2nd Ed AD&D started repackaging itself with crappy covers. I always wished they'd just release a limited edition 3e (then 4) without all the crappy dungeon punk art and just do a throw-back version with the same rules, and maybe an authorial voice that didn't remind me of stereo instructions. I guess Joseph Goodman was wishing the same thing. When the Beta came out last summer, I was burning out on DMing Type IV D&D (after a 1-13 campaign and a stint DMing Encounters), and I have happily pinned my rpg hopes on DCCRPG. I have been looking forward to the Dungeon Crawl Classics RPG for so long now that I feel a bit like this will be a rave more than a review. It was a long wait, and it's only the pre-order PDF! The actual book doesn't come out for another month or so. I played and DM'd the Beta quite a few times over the last year and have even gone so far as to create an extensive houserule doc that must now be reconciled with the final product. This game is well written. It is loose and weird and has personality. The names of spells and demons and monsters are cool, the art is inspiring and entertaining (I particularly enjoy Kovac's full page illustrations), and Goodman writes in an engaging manner full of obscure vocabulary and strong opinions. Small valleys are important to him. He is promoting the game he wants to play, and his enthusiasm shines throughout a book full of good humour and excitement. Goodman know his audience as well. He forgoes the traditional "What is roleplaying?" paragraph and just says something like, "Hey most of you guys are old hands at this rpg thing, and the rest of you can figure it out." The art! This is definitely a book that is fun to just pick up and read bits while grooving on the pictures, much like the old AD&D PHB and DMG. The first couple of pages feel like an old Groo comic! This is on par and better than my two favorite clone pdfs, Swords & Wizardry and AD&D3. The only part of the presentation I don't dig all that much is the cover and name! I think I just don't care for the colors of the cover. Of course, the black'n'gold Warpig cover is epic. I think I'll have to laminate that onto my copy since I didn't spring for the deluxe edition. 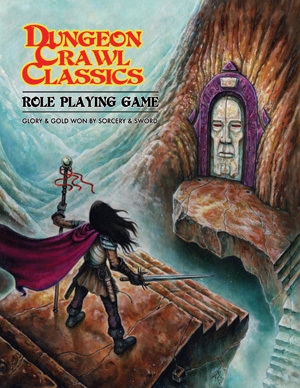 Dungeon Crawl Classics RPG is a pretty awkward title. 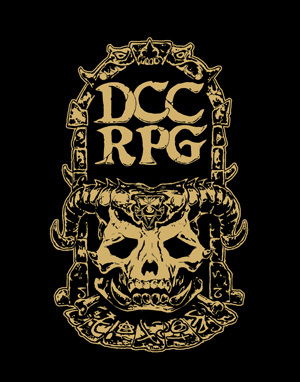 DCCRPG is a mouthful. Whatever. It's D&D, and I've taken to calling my hack of it DC'sRPG based on my own initials. The rules are exactly as may be expected from any d20 derived game. A d20 is rolled and a number is added. Beat and AC or a DC. DCCRPG changes this up in a couple of ways. First, Goodman discourages DMs from asking for too many checks during the exploration and roleplay phases of the game, encouraging player ingenuity over dice rolling. However, once initiative is rolled, the dice rule! The game uses obscure dice, like d30s, d16s and d7s. I think its funny when I see people on the internets being grumpy about buying d14s, d24s and such for this game. Aren't they buying dice anyways? I am. Combat is highlighted by Critical Hit tables by class, Fumble tables, and Success/Misfire/Corruption tables for each and every spell. It gives the impression of a very swingy, unpredictable game, but this is mitigated quite a bit by two things, LUCK/Spellburn, wherein players may sacrifice their Ability Scores to adjust Fate to their liking. In my play experience, the Luck and Spellburn rules go a long way towards giving players agency and some metagame strategy options during play. This leads to the other major difference from standard D&D type games, character classes. Classes are standard fantasy archetypes: Warrior, Thief, Cleric, Wizard, Elf, Dwarf and Halfling. Goodman implores the reader to roll ability scores 3d6, 6 times, arranged in order. The ability scores are a bit different. Constitution and Dexterity have been renamed Stamina and Agility. Wisdom and Charisma have been combined into Personality. The new Luck stat rounds out the six. 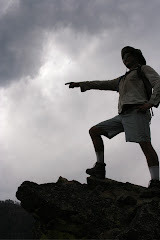 Personality is a nice change for me, as the Intelligence/Wisdom divide has always been weird, but Luck is the fun one. Luck is the stat that all classes may sacrifice to nudge the dice their way. Thieves and Halflings in particular ride their luck. Wizards and Elves may sacrifice their physical traits to make sure a spell is successful, though nothing may revoke a roll of 1! Wizards are scarey and dangerous in this game. They can roll high and punch far above their weight, casting an epic spell, and they can fail spectacularly, cursing themselves with the marks of chaos. Every spell is different. Every time a Wizard casts a spell it is a risk that must be weighed. Rather than loss of a spell, the wizard risks losing his soul! or at least a lot of Strength. It's all very evocative, but it also plays well, making the wizard a unique experience. Clerics, by contrast, are far more predictable with their prayers, though they to risk angering the gods. Warriors are the stars of the game. They have a great mechanic that is so simple and fun I can't believe it has never been thought of before. Instead of a straight +1 to hit at 1st level, the Warrior rolls 1d3 and adds that to his attack and damage! The dice advances with levels. This makes the Warrior capable of hard hits, but somewhat unpredictable. The best part of this Deed Dice mechanic is that it incorporates an open-ended panacea of Might Deeds of Arms. A Warrior describes some type of blow or tactic he is attempting, such as a knockdown, called shot, disarm or whatever, and, if the Deed Dice comes of 3+, it's a go! So easy! This eliminates the need for weird encounter/daily/feat rules and encourages shenanigans. Thieves can do all their thief-y stuff, but they also the most out of their Luck score, which encourages shenanigans as well! There's a lot of other great stuff in the book. The monster and magic item sections are short but really evocative and creative. The rules for Wizard Patrons are great and left me wanting more. There's some neat stuff in the appendixes, including a pretty cool shout-out to OSR blogosphere. The experience rules are really simple and a lot of people will dig it. I do. And, of course, its basically D&D tarted up with rad pictures and a couple cool rules, so any of your endless stacks of old game books will work just fine. This is the game for me. This game is made to Hack. Hacking goblins and hacking the rules. So I have hacked. I've done all kinds of things to the Beta. I've changed Dwarfs from Shield-bashers to ShieldWallers and I've slowed down all the attack bonus progressions. I've fiddled with damage dice for weapons. I've lowered Warrior HD to d10. I made a Barbarian class with d12. I've toyed with redoing stat bonuses and having Wizards use Dice Pools for spells that start at d14. I have players rolling 5d4 for stats... I'll post all that another time. It has certainly gotten me invested in the game. I've been drawn to the OSR over the last couple years for the style and creativity. So many great blogs! I've read and DM'd DCC modules for years as well. 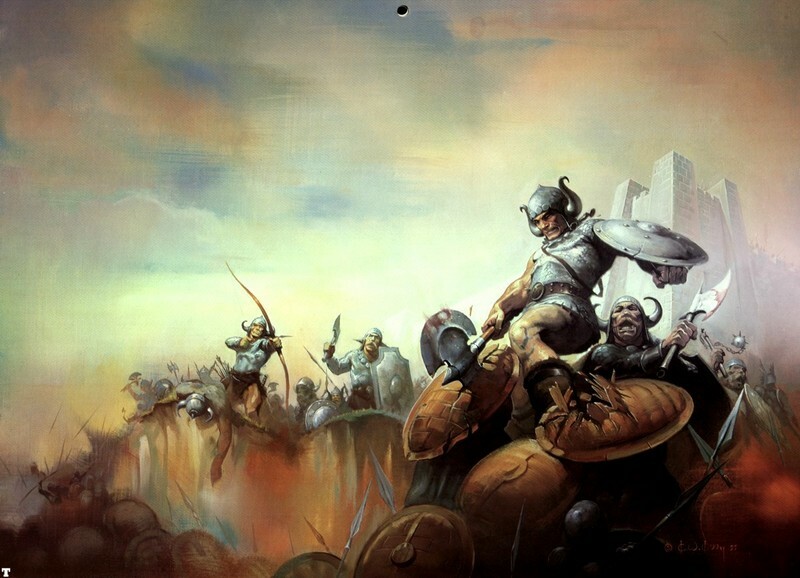 I still play Type IV D&D, and I used to really dig the tactical combat, but I've gotten frustrated with the glacial pace of the story when each battle takes a whole evening. I've had multiple short DCCRPG sessions where we have made characters and completed a dungeon mission/adventure in one sitting. So much fun! To rant for a moment, though I like the computerized Character Generator for Type IV, all the dizzying options available seem to lure players into playing strange exotic characters that strike their fancy at the time but tend to be unrealized at the table. I have a player with a genasi artificer, and I don't think anybody really has any idea what she does or looks like. It/s kinda hard to imagine. It's like disassociated character generation. Making a DCCRPG is much quicker, deals with well know archetypes, but uses the whims of the dice to add unexpected twists to the common character. A gong farmer who was struck by lightning you say? Well I'm a thief now! Watch me backstab for an automatic crit! Huzzah! Ha! Great review! I've been away from pencil and paper RPGs for 25+ years, part of the reason being I did not like the direction D&D was going in. I always enjoyed the under-funded, under-equipped band of idiots seeking adventure and fortune in places no soul should dare tread, not the one-man wrecking crews in pretentious high-fantasy settings. Basiclly, I liked D&D when it was Sword & Sorcery, and not Lord of the Rings meets The Justice League. Your review has sold me. I've ordered the main book and a set of dice. I have no one to play with yet, so I'll try it out on my bored summer-vacationing daughters. This blog is about my imaginary worlds, and playing Dungeons and Dragons. Neradia is the realm of the imagination where this blog resides. I live in Santa Cruz, CA where I build things, teach, paddle rivers, write, and roll dice. When life and time hang wearily. Of the castle of dreams. It stands, a hold of kingly state. And cares of Life are all forgot. To the Castle of Dreams. For there I am the lord af all. The Sorcerer is moving to new digs! Commons & Burt Builders Inc.